FRENCH investigators have opened a criminal probe into a politician who was allegedly recorded saying that Hitler “did not kill enough” Roma. Interior Minister Manuel Valls had earlier called for Gilles Bourdouleix, controversial mayor of the western town of Cholet, to be “severely punished” for the comments. Mr Bourdouleix reportedly muttered the remark on Sunday as he confronted members of the travelling community, also known as gypsies, who had illegally set up camp, according to a recording posted on the site of regional daily Courrier de l’Ouest. “Maybe Hitler did not kill enough,” Mr Bourdouleix is heard saying after the Roma had reportedly given him the Nazi salute. Mr Bourdouleix, who is a member of the lower house National Assembly with the centrist UDI party, is also facing expulsion from his party. Local prosecutor Yves Gambert said his office had opened a preliminary investigation into the remarks on Monday, on charges of “defending crimes against humanity”. “I believed that this justified the opening of an investigation,” he said. Mr Bourdouleix faces up to five years in prison and a 45,000-euro ($60,000) fine if convicted on the charge. Mr Bourdouleix has said his comments were taken out of context and alleged the recording was tampered with. The comments sparked an uproar, with Mr Valls describing them as “unacceptable”. “These comments are a defence of crimes committed in the Second World War, a defence of Nazism and coming from a mayor, from a member of parliament, it’s completely intolerable,” he said on TV channel i-TELE. Prime Minister Jean-Marc Ayrault said Mr Bourdouleix’s comments were “not worthy of an elected representative” and were “punishable by law”. Mr Bourdouleix also risks being kicked out of his party. “I hope Mr Bourdouleix’s political party will take on its responsibilities, because this is unacceptable behaviour and not the first time for this man,” Mr Ayrault said. Mr Bourdouleix has made controversial remarks about Roma in the past, including in November 2010, when he threatened to drive a truck through one of their caravan camps, and last November, when he said France was facing a “new invasion” from the community. The European Association for the Defence of Human Rights says almost 12,000 Roma were evicted from camps across France last year, 80 per cent of them forcibly. A French law stipulates that every town of more than 5,000 inhabitants must set up sites able to house members of the travelling community — be they Roma, circus performers or fun fair organisers. 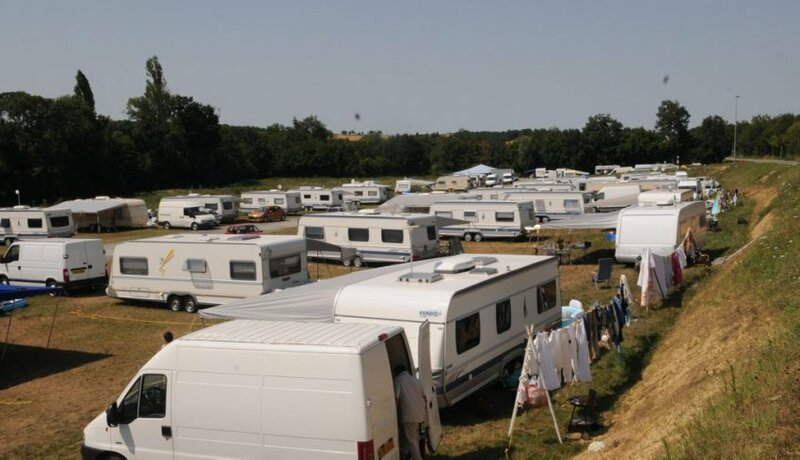 In Cholet, authorities say the site devoted to travellers was temporarily closed due to works, adding the Roma had moved on since Sunday’s incident.